Summer Events Mashup: Zoo People Reunion to Wellbeing & Health Festival, Upcoming Events in Venice & Santa Monica! Summer’s in full swing and the AKFF Blog brings some hot events from July 23 – July 26, Tuesday – Saturday PLUS First Friday preview – Find out about First Friday Prize Giveaways! 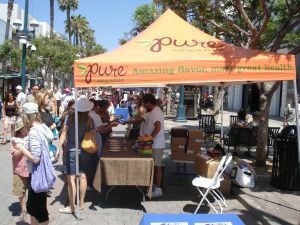 Free yoga and dance classes plus raffles and product samples promoting a healthy and happy lifestyle at this annual festival presented by the Santa Monica Chamber of Commerce. The first 100 people will receive goodie bags. Check out the Laughter Groove yoga class by local Kim Selbert at 1:45pm on the Wellness Stage. Stop at her booth (3rd & Arizona) to get free passes for the class! August 2, Friday – First Friday of the month on Abbot Kinney Blvd. The AKFF Blog will sponsor prize giveaways – follow our new Twitter page @abbotkinney1st to get in the deets. Thanks to Next Space for this awesome prize: 10-pack of Day Passes that never expire ($300 value.) Plus, a bottle of wine from Joe’s Restaurant- wow! Email the AKFF to donate a fab prize! September 6, Friday – First Friday of the month on Abbot Kinney Blvd. See the Official Facebook page of Abbot Kinney First Fridays for events all month long! 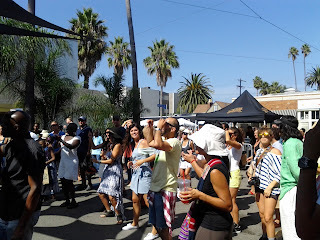 September 29, Sunday Abbot Kinney Festival from 10:00am – 6:00pm the annual festival that’s been going since 1984! Hot New Venice Property Listing! Venice Beach Living in Spacious Town Home in Fabulous Location!